Recently, I have had to make some presentations about what it takes to be an entrepreneur or start up a company, and what type of people I would hire or be associated with. 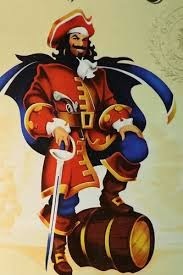 When asked, I usually come back with this question: If you had a choice to sail the seven seas either with the Royal Navy or as a Pirate/Privateer, what would you choose? Incredibly, the answer to this simple question is really at the crux if you can be an entrepreneur or not. One choice offers the prestige and power of a great power, and known and respected entity, at the price of having to conform to a certain system of rules and regulations based mostly on seniority and position not necessarily performance and merit. The other offers a high risk lifestyle, but with some freedoms and the ability to join a group of liked minded individuals. To sail to unchartered, risky lands; to fight for what you believe in, and to seize opportunities wherever you go. How you answer this question is the basis if you will be entrepreneur or not. If you did not choose being a pirate, does not mean you will not be a success in your own right, it just means that you prefer a more ordered and predictable path to that destination. Risk and the ability to go to the unknown is not in your character. Yes, you might have great success in your endeavors, but the likelihood of being wildly successful is slim. As I like to say, you never find riches on a well trodden path. It is precisely the ability to go beyond that fear, into unknown waters that having a pirate-like mentality is so important. While being able to do what Churchill says, "When you are going through hell, keep going." is so vitally important. Having a pirate mind means you just cannot give up…on the goal. Secondly, having a pirate mind also means you choose those people you associate with, and quickly realize that the number is not so important as the quality of the individuals. As I say, “I find my chances for success improve when I associate with a few talented people as opposed to a plethora of mediocre ones.” And this is true in ANY startup. Pick good, liked-mined people that help you achieve your goals, and most importantly, want to be pirates. Nick, it is interesting as believe it or not, the pirate code of democracy predates our own by over 100 years. Plus three of the most famous pirates / privateers Henry Morgan, Sir Francis Drake, and John Paul Jones were instrumental in helping their countries defeat a much larger foreign navy. But I am not hear to sing the praises of pirates, but the pirate mind...as to paraphrase Mae West, history has never been made by a well behaved person. Wow Jeff this is some seriously good writing! I'd much rather be a pirate! BTW, noticing what Nick said, we often profit on leveraging the misconceptions of others, morale or imorale. I have become a cynic after 12 years as a self-employed tech contractor, but I realize it has actually helped me see the world in a way which allows me to make more money, rather than being all pollyannish about the wonderful world and it's possibilities, yada yada. I didn't really like the drama of the tv show, but I could ignore most of it & focus on the lessons. I wanted to learn more lessons so I searched it out. But I found this instead. I await more lessons!